NEW YORK, N.Y., Sep 15, 2016 (SEND2PRESS NEWSWIRE) -- The Blue Hill Troupe, now in its 93rd season, offers a fresh new take on Gilbert & Sullivan's "The Pirates of Penzance." This perennial audience favorite tells the story of a pirate named Frederic, who at the age of 21, has completed his apprenticeship and is ready to seek his fortune as an upstanding citizen. Wasting no time, he falls in love with the beautiful daughter of a local Major General ... but is thwarted by the discovery that he was born on February 29. With a Leap Day birthday, he's only 5, not 21, which means he's still a pirate! 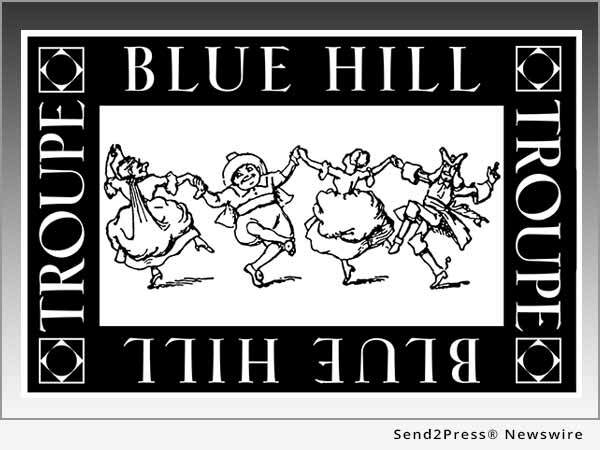 The Blue Hill Troupe is the only musical theater group in New York City to donate its net proceeds to charity. Proceeds from the company's 2016-2017 season will benefit Rocking the Boat. At Rocking the Boat, a nonprofit organization in the South Bronx, students work together to build wooden boats, learn to row and sail, and restore local urban waterways, revitalizing their community while creating better lives for themselves-the perfect charity match with "The Pirates of Penzance." The Blue Hill Troupe's production of "The Pirates of Penzance" is directed by Carl Schmehl with music direction by William Remmers. Blue Hill Troupe Presents Gilbert & Sullivan's "The Pirates of Penzance" - Nonprofit Troupe's 93rd Season to Benefit Rocking the Boat. * November 11, 12, 16-19, 2016 at 7:30 p.m.
* November 12, 19 at 2 p.m.
* November 13 at 3 p.m.
WHERE: The Theatre at St. Jean's, 184 E. 76 Street (between Lexington & 3rd Aves). TICKETS: $29.50 - $100 (payment in excess of $20 per ticket is tax deductible to the extent provided by law). Tickets can be purchased at: http://bht.org/events/the-pirates-of-penzance/. Every year since 1924, the Blue Hill Troupe has come together for a season of revelry celebrating its three great passions: Theater, Charity and Community. The Troupe's efforts are rooted in a tradition of performing a Gilbert & Sullivan operetta, and the group also presents a musical theater production as well as a concert series. Since its inception in 1924, the Blue Hill Troupe has donated over $4 million to New York City charities. For more information about the Blue Hill Troupe, please visit http://bht.org/, https://www.facebook.com/BHT.org and on Twitter at @BlueHillTroupe. More information on Rocking the Boat: http://www.rockingtheboat.org/.